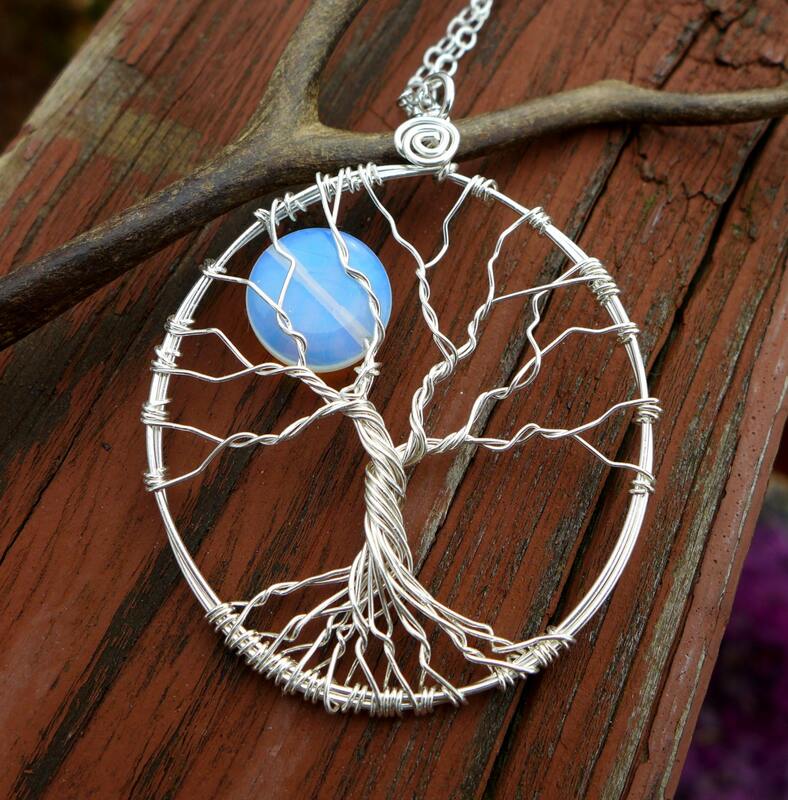 Mystical Night Moonstone Tree of Life Pendant Necklace! 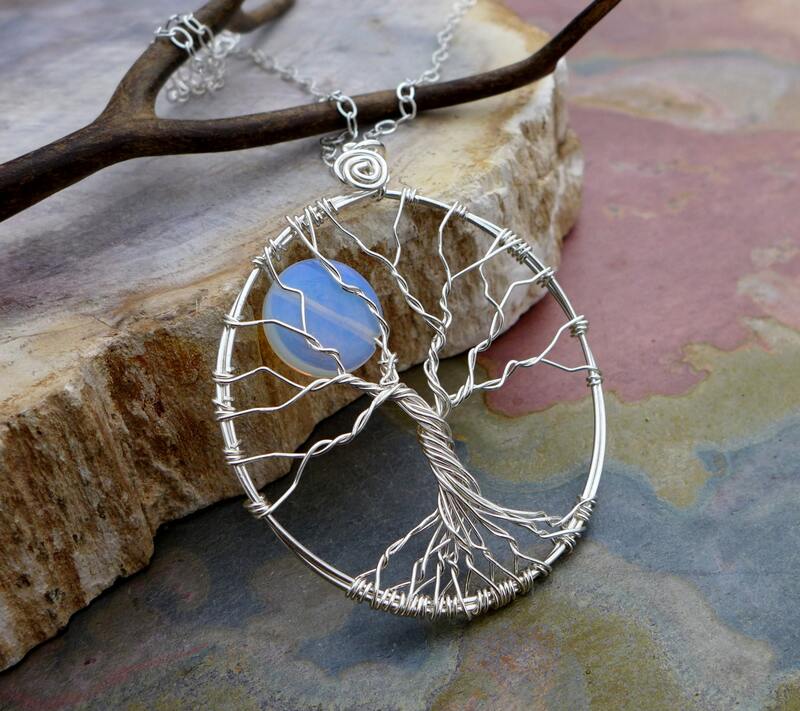 This unique pendant is made with Blue Opalite Moonstone using .925 sterling silver wires for the outer circle, tree trunk & branches. 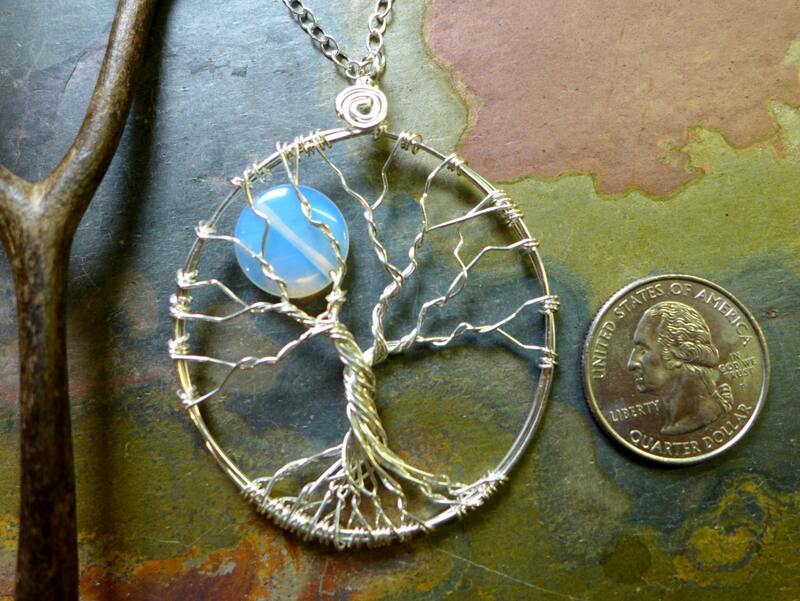 ~~The pendant measures 1-3/4 inch( 44mm) in diameter. This beautiful pendant comes with a 925 sterling silver chain & finished with a lobster clasp. Shipped on time! Beautiful craftsmanship! Love it!!! 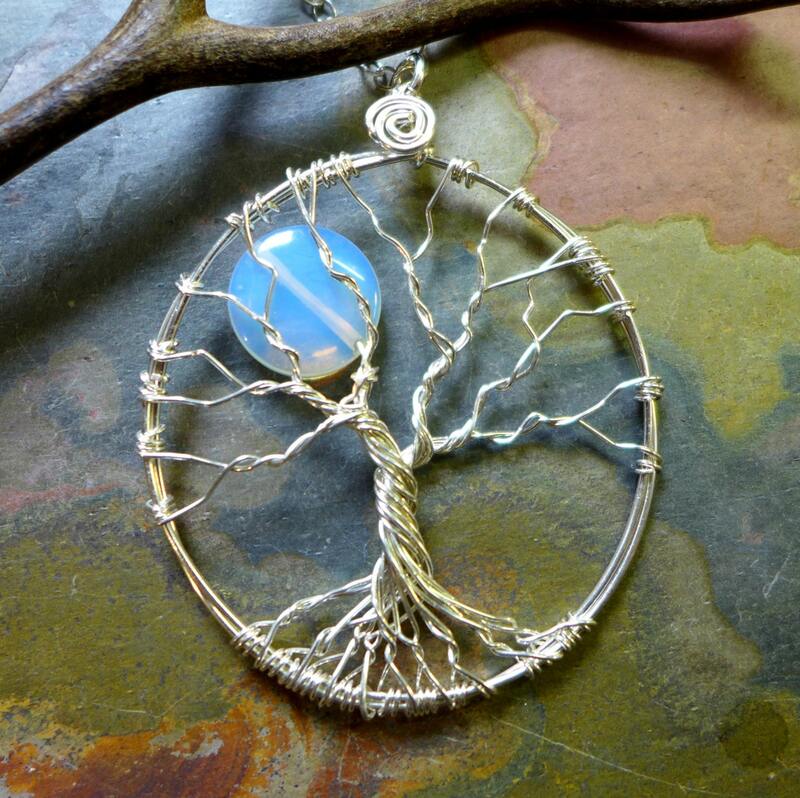 This necklace captures my inner vision of the Tree of Life perfectly! Love it...and the chain may be adjusted even smaller that it's "supposed to be" for my small neck. Completely thrilled with this purchase!